EMCO Ping Monitor 5.2 monitors each and every activity over the network and send notifications to the user through email. 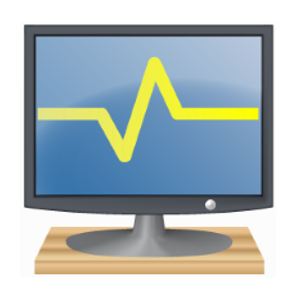 This free download is the standalone setup of Ping Monitor for Windows 32-bit and 64-bit. Ping is the fastest and the reliable way to check for a website or any other IP address. With the help of ping, you can check whether any IP address is functional or not by sending small packets to the host. It also checks for the response time and assess whether the host is online or not. EMCO Ping Monitor is a powerful tool which pings multiple hosts at the same time. 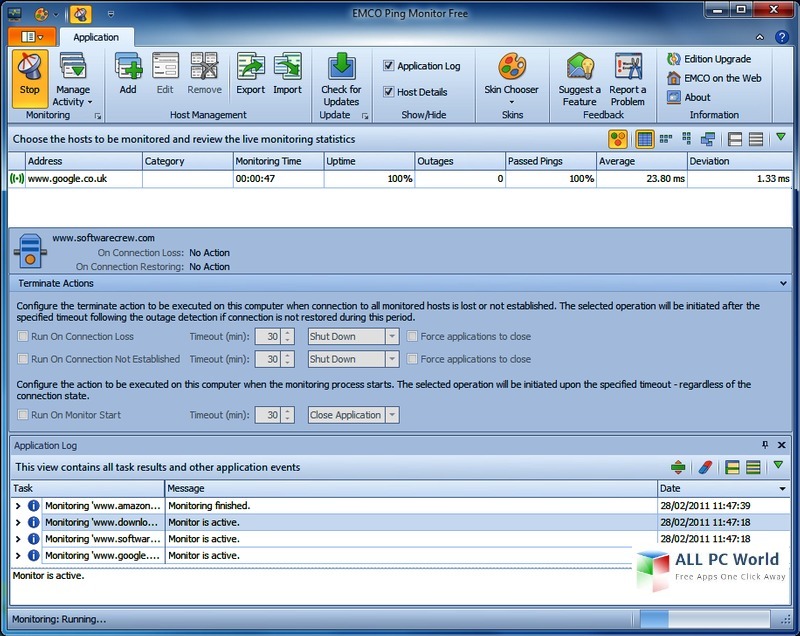 A very easy to use interface is provided so that non-technical people can also take complete advantage of this utility. The only thing you need to enter is the destination host or the host-name for monetization purpose. The tool will keep on pinging the host with regular intervals to check the availability and prompts through emails. It is a very lightweight tool and never consumes much of your system resources. Moreover, you can also configure advanced settings like ping intervals, packet size for sending, outage conditions, and TTL (Time to Live). If you are a website or server administrator, it is the best utility to prompt whenever the server goes down for troubleshooting purposes. The only requirement for this wonderful tool is .NET Framework 4.0 or higher. Click on the below link to download the standalone setup of EMCO Ping Monitor 5.2 for Windows x86 and x64 architecture. It is compatible with all the new and older releases of Windows and monitors the computers efficiently.